New Delhi: Telecom major Bharti Airtel today announced partnership with Amazon Web Services to offer its cloud computing services to customers in India. 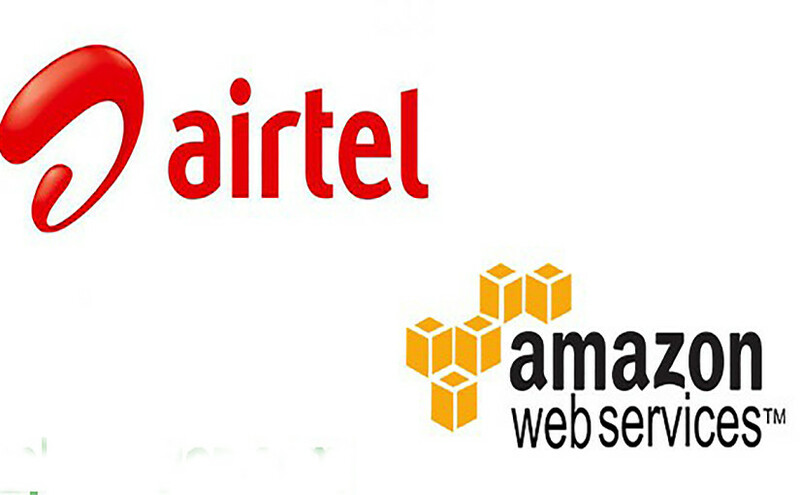 “In line with this market adoption, we are excited to strengthen Airtel?s cloud services portfolio by adding Amazon Web Services to our growing list of cloud services providers. We are confident that this will help our global customers truly leverage the benefits of cloud,” Bharti Airtel’s Global Business CEO Ajay Chitkara said in a statement. Cloud computing services offer software and other facility on pay as per use basis without customers requiring to buy entire product. Amazon Web Services offers facility like website hosting, data storage and other softwares required to run or manage businesses. An Airtel official explained that under this partnership customer will get commitment from the company on dedicated connection between their premise and AWS data centres –the facility which was not available earlier. “By utilising AWS Direct Connect customers are able to reduce network costs, increase bandwidth throughput and provide a more consistent network experience, helping Indian businesses of all sizes to rapidly expand their organisations,” Amazon Web Services India Head Bikram Singh Bedi said. According to Sinha, the pricing formula for conversion would now be based on “fair value” and there would be safeguards in place. “Sebi will prescribe how a fair value will be decided and there is one comfort that even if the fair value comes below the face value, it will not be permitted atleast the face value should be given. So, the bankers will have to give face value or the fair value whichever is higher,” he said. At present, Sebi’s pricing formula only has exemptions for matters like BIFR (Board for Industrial and Financial Reconstruction) and CDR (Corporate Debt Restructuring) cases. “We have provided some safeguards. The new decision we have taken today will apply only when banks acquire 51 per cent of the equity. They must acquire 51 per cent of the equity and banks should come together in what is called the joint lenders’ forum,” Sinha said. Non-banking finance companies can also a member of the forum. “Combined all the banks, the word is secured creditors, would take over 51 per cent. Then they can decide on change of management and not only change of promoters. They can run it themselves or hire somebody,” he said. Sinha said that banking system is right now facing a serious problem with regard to non-performing assets. One of the RBI concerns is that although loan documents provide for conversion of debt into equity, there are some Sebi regulations which come in the way so far as the pricing of the conversion is concerned, he added. To relax the conversion norms, changes would be effected in the applicability of certain provisions of the Sebi (Issue of Capital and Disclosure Requirements) Regulations, 2009 and the Sebi (Substantial Acquisition of Shares and Takeovers) Regulations, 2011. Responding to a query on whether overseas lenders can also be part of conversion, he said that the technical word is secured creditors and whosoever is the secured creditor would be able to join. “Who can join and who cannot would be defined by RBI through the joint lenders forum,” he said, adding that the central bank is coming out with a regulation on who can take how much and how it would be apportioned. When asked about a scenario where there is only one lender, Sinha said, “I should not be answering on behalf of RBI but I think it is possible. RBI is the right forum to answer this”.